Want the know the best tokens of affection you can offer your loved ones? As if parenting isn’t hard enough, trying to please your children is downright challenging. 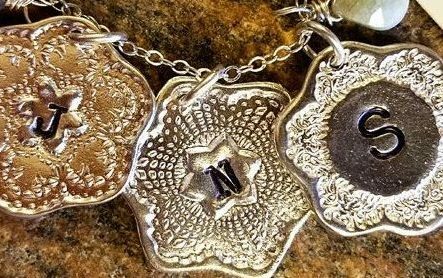 Your child’s devotion to the latest trends is unparalleled and practically impossible to keep up with, but these jewelry finds will help make you Parent of the Year and help your child flaunt the latest celebrity fashion! Check out these product reviews for your parenting score! 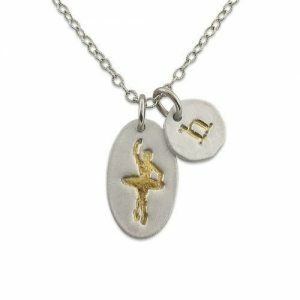 Designed and hand-made by Isabelle Grace, this necklace features a ballerina charm and a personalized initial charm. It’s perfect for commemorating a dance competition or to help your little darling live out their dancing dream! The ballerina charm is three-quarters of an inch tall and half an inch wide. The initial charm, a tiny circle, rests just above the dancer’s head. Both charms are fine silver and can be gold coated or oxidized. What’s better? You can customize with gems and other charms. Priced at a reasonable $48, it’s an easy to dream of gift for your child. Another great design by Isabelle Grace! 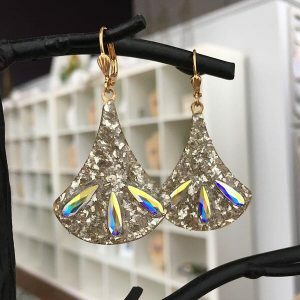 These drop earrings are hand-crafted with crushed German glass and Swarovski teardrop stones for an elegant and retro look. The design comes from Isabelle Grace’s Gypsy Glam look that encourages a fearless sense of self and the courage to live life as an adventure. What better gift to give to your children as they enter the turbulent teenage years? The earring hangs on a gold-plated lever back wire and hangs approximately two inches. Priced at $46, it’s an affordable token of your love and support. You can shop more custom looks from Isabelle Grace at their website isabellegracejewelry.com or check out their Facebook and Twitter pages!